The online betting industry has grown hand in hand with the internet, and overall technology. More and more businesses are switching from traditional brick-and-mortar shops to website, smartphone applications, and an overall lack of physical presences. Customers put more and more emphasis on ease of access, quick responses and the possibility of checking their data from anywhere, at any given time. With all these requirements, all industries had to change – and the betting industry made no exception. The offers have adapted, customer support has adapted, even the way a client places bets has adapted. Of course, money management methods had to adapt too. Thus, e-wallets have made their appearance in the betting industry. First of all, ease of access – getting a Neteller account is effortless. All you need is an e-mail and some time to fill in the registration process. Your account will be setup speedy, and funding it is also a breeze. There are lots of options which you can explore to bring funds into your Neteller account, which you can then use however you want. Second, most betting sites now accept Neteller as a payment solution. This wasn’t necessarily the case 3 or 4 years ago when bookmakers weren’t encouraging e-wallets very much. Nowadays, you can be sure that your Neteller account allows you to do business with most brokers on the UK market. Third, a Neteller account, like any other e-wallet, is a great way of hiding your credit card and personal information from your bookmaker. This isn’t necessarily an advantage of Neteller, but one for e-wallets in general. Fourth, Neteller does fairly well in the fees department. For example, funding your Paypal account costs you a flat 2,9% tax regardless of the solution used to support it. Neteller has some funding options which are completely free, while others have fees much lower than those which are practiced by their rivals. Of course, not everything about Neteller is great. There are a few things which can be considered weaknesses, and most of them come from the fact that Neteller deal significantly less money than Paypal or Skrill. These disadvantages could disappear in the future if they gain more and more customers, but are a reality which we must consider at this moment. The first thing we need to talk about is Neteller’s fees. Although there are some free methods of funding a Neteller account (some niche Debit cards, local bank transfers, or third party solutions which are only available in certain countries – like Trustly (Sweden, Denmark, Finland), Poli (Australia), Moneta.ru (Russia), most classic deposit solutions have fees varying between 1,75% and 4,95%. While the first part of the interval isn’t very worrying, a 5% deposit fee will certainly be felt by any betting enthusiast. Furthermore, these fees correspond to some widespread deposit options, like credit cards, Visa Electron debit cards, or Ukash. PaySafe cards are even more expensive – Neteller charges a 9,9% fee for using them. Although some of these fees are seen a large disadvantage of Neteller, the sheer number of options which can be used to fund such an account must be treated as a plus for the company. If you don’t own a credit card or debit card, or can’t use them for any reason, Neteller has lots of ways which you can use to get money into your account. A simple internet search reveals more than 40 or 50 ways to fund a Neteller account – much more than Paypal and Skrill have to offer. Another issue Neteller has at the moment is its availability for bonuses in the betting industry. While 99% of active bookmakers in the UK accept Neteller as a deposit and withdraw option, there are very few which actually qualify these deposits as eligible for bonuses. Out of the top UK betting sites, only Bet365, William Hill, and Betfair consider Neteller deposit as good for bonuses. 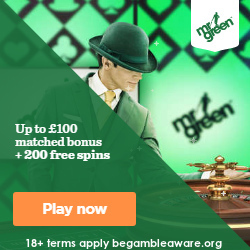 Other large bookmakers like Unibet, NetBet, ComeOn, Coral, Ladbrokes or Mr.Green all consider Neteller deposit as unqualified for bonuses and free bets. In this case, if your system heavily relies on bonuses or other advantages a broker might give you, either choose from the limited pool that considers Neteller bonus-worthy or don’t choose Neteller as a money management option. Not all e-wallets are created equal, though. They have been around for quite some time – most of which have appeared near the end of the 20th century. As in any other industry, there are lots of challenges, plenty of companies we don’t even know exist, and a few large sharks which take up more than 98% of the entire e-wallet industry. Today, we’re here to talk about one of these companies, the third biggest in the world at this moment: Neteller, sitting just behind Paypal and Skrill. Although not as famous as the other two companies named above, Neteller has been around for about the same time. It was born in 1999, and is currently used in 180 countries around the world, and moves millions of dollars in transactions every single day. While these numbers are certainly impressive, they’re in the same league as those of Paypal and Skrill. The size of these e-wallet solutions is not what concerns us in this present article. We want to see if Neteller is a valid option for a sports betting enthusiasts as a money management tool. At the beginning of the article, we’ve touched base on what we consider an efficient money management solution: quick responses, fast deposits and withdraws, easy access across all platforms, little to no fees. To sum up, Neteller is an e-payment solution which has its fair share of pros and cons. It’s more flexible and appeals to many more customers than its rivals, and is keen to be as transparent as open as possible. Unfortunately for them, having fewer clients than other e-wallets leads to larger fees (in some cases) and a lack of dedicated bonuses and betting offers from most brokers. As always, the final decision lies in the hands of the client – what is the most important thing for you when choosing an e-wallet?